The Gold Delta SkyMiles® Credit Card from American Express is a popular travel rewards credit card with a $95 annual fee and a solid Delta airline rewards program that favors regular Delta flyers who earn rewards fast enough to neutralize the annual fee. All Delta purchases, including airfare and incidentals, earn an unlimited 2 SkyMiles rewards points per $1 spent. All other purchases earn an unlimited one SkyMile per $1 spent. You can redeem accumulated SkyMiles for Delta airfare, select merchandise available at the SkyMiles Marketplace, and other goodies. Gold Delta SkyMiles’s direct competitors include general purpose annual fee travel credit cards such as Capital One Venture Rewards, Barclaycard Arrival® Plus World Elite Mastercard®, and Chase Sapphire Preferred. It also competes with annual fee airline-, hotel-, and vendor-specific cards such as Chase United MileagePlus Explorer, Expedia+ Voyager, Citi/AAdvantage World MasterCard, and Citi Hilton Honors Visa Signature, among others. Earn 30,000 bonus SkyMiles when you make at least $1,000 in new eligible purchases with your card in the first 3 months of card membership. Plus, earn a $50 statement credit when you make a Delta purchase with your card within 3 months. You earn 2 SkyMiles per $1 spent on Delta airfare, in-flight purchases, lounge passes, and other incidentals, with no caps or restrictions. 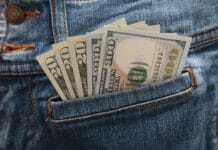 All other purchases earn 1 SkyMile per $1 spent, again with no restrictions. Accumulated SkyMiles can be redeemed for Delta airfare, starting at 10,000 miles for domestic economy one-ways and 12,500 miles for more flexible travel dates. Certain travel dates and times may require more miles, depending on season and demand. For instance, it’s likely to cost more to fly to a popular vacation destination on a peak-season Friday than an off-season Tuesday. Airfare redemption point values generally range from $0.005 to $0.02, but can be higher or lower than that range. SkyMiles can also be redeemed in the online SkyMiles MarketPlace for merchandise, gift cards, and experiences (such as performances), typically at conversion rates far below $0.01 per mile. Minimum mileage requirements for merchandise redemptions start around 2,000 and rise from there. 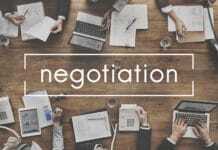 The $95 annual fee is waived for the first year, and there is no foreign transaction fee. Balance transfers and cash advances both cost the greater of $5 or 3%, while late and returned payments both cost up to $38. Unlimited Discounts on Airport Lounge Access. Gold Delta SkyMiles card membership entitles you and one traveling companion to unlimited discounts on Delta Sky Club single visit passes, which are good for one day at one Sky Club location. Cardholders and their companions get passes for $29 per person, compared with $59 per person at full price. Comparable airline rewards cards rarely offer such generous airport lounge deals. For example, Chase United MileagePlus Explorer offers just 2 complimentary passes per year, while British Airways Visa Signature has no lounge privileges at all. SkyMiles Can Be Valuable When Redeemed for Airfare. SkyMiles can be quite valuable when redeemed for Delta airfare – reliably worth at least $0.075 per mile, often worth $0.01, and sometimes worth as much as $0.02. Keep in mind that point values can vary at redemption, even for the same routes, based on factors such as time, date, season, demand, and more. In-Flight Discounts. Delta’s across-the-board 20% discount on in-flight purchases is a very nice perk, particularly for travelers craving multiple refreshments or entertainment opportunities on longer flights. Alaska Airlines Visa Signature and Chase United MileagePlus Explorer don’t offer such discounts. Nice Welcome Offer. This card’s welcome offer is sufficient to cover the cost of up to one round-trip economy fare to any destination in the continental United States, plus $50 off your first paid fare purchased with your new card. For all that, you need to spend just $1,000 in purchases over 3 months. No Foreign Transaction Fee. The Gold Delta SkyMiles card doesn’t have a foreign transaction fee, which is always nice for frequent overseas travelers. The Expedia+ Card from Citi does have a foreign transaction fee – a pesky 3% of the total transaction amount. Miles Never Expire. 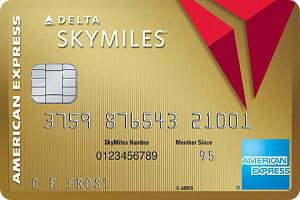 As long as your account remains open and in good standing, the SkyMiles you accumulate with this card never expire. Many airline and hotel rewards credit cards, including British Airways Visa Signature, require you to earn or redeem points after a certain amount of time (often a year) has elapsed. Charges an Annual Fee. This card comes with a $95 annual fee after the first year, which sets it apart from fee-free travel rewards cards such as Expedia+ from Citi, Discover it Miles, and Capital One VentureOne Rewards. Has a Penalty APR. If you accidentally miss a payment or two with this card, the high penalty APR is apt to bite you. British Airways Visa Signature and Chase United MileagePlus Explorer cardholders don’t have this problem. Low Point Values for Non-airfare Redemptions. When it comes time to redeem your accumulated SkyMiles, Delta airfare is far and away offers the best bang for your buck. The general merchandise and gift cards available at the SkyMiles Marketplace often sell for 2 to 3 SkyMiles per $0.01 – in other words, SkyMiles are worth just $0.003 to $0.005 here. By contrast, one-way economy flights (which often cost $100, $200, or even more) start at 10,000 points. The SkyMiles MarketPlace’s unfavorable redemption rates render Delta’s rewards program more restrictive than necessary. If you’re seeking a travel rewards credit card that lets you redeem for a wide range of items at more favorable rates, try Chase Sapphire Preferred, Discover it Miles, or Capital One Venture Rewards instead. Non-Delta Purchases Have Limited Earning Power. If you use this card for general, everyday spending, you won’t rack up the rewards very quickly. Only Delta purchases earn more than 1 SkyMile per $1 spent, raising the investment (both in terms of time and money) necessary to earn a free flight. No Automatic Status Levels or Upgrades. Gold Delta SkyMiles card membership doesn’t entitle you to any special loyalty status levels, which typically come with valuable perks such as discounts at partner hotels and accelerated point earnings. The Expedia+ Voyager Card from Citi ($95 annual fee) automatically entitles you to Expedia Gold status, which comes with a 30% point bonus on all purchases and free hotel room upgrades when available. Thanks to the SkyMiles MarketPlace, Delta and American Express can honestly claim that their customers can redeem accumulated SkyMiles for much more than Delta airfare. Plenty of other airlines and airline rewards card issuers offer equivalent deals on merchandise and experiences too. However, the devil is in the details – or, rather, the pricing. The SkyMiles MarketPlace dramatically inflates its merchandise’s point costs, charging double or triple what you’d expect to pay at Amazon or in a brick-and-mortar retail store. Fortunately, Gold Delta SkyMiles’ airfare redemption rates meet or exceed standards set by the competition. If you’re looking for solid deals on Delta airfare, the Gold Delta SkyMiles® Credit Card from American Express is your card. If you want to use your earned rewards to buy things you can use on the ground, look elsewhere. The Gold Delta SkyMiles® Credit Card from American Express is ideal for frequent Delta flyers who earn rewards quickly enough to offset the $95 annual fee and enjoy practical travel benefits, such as the first checked bag free and discounted Sky Club lounge access. Due to poor non-Delta rewards and limited earning power outside the Delta universe, it’s not great for infrequent Delta flyers and those looking for a general-spending credit card. Favorable airfare redemption rates, nice welcome offer, discounted airport lounge access, and in-flight discounts are key perks. The annual fee, slow earning power on non-Delta purchases, poor redemption values for everything other than airfare, and no automatic loyalty status qualification all hurt. Overall, this card is very good for regular Delta fliers and mediocre for everyone else.